Which Are The Best Horse Supplements For Joints? 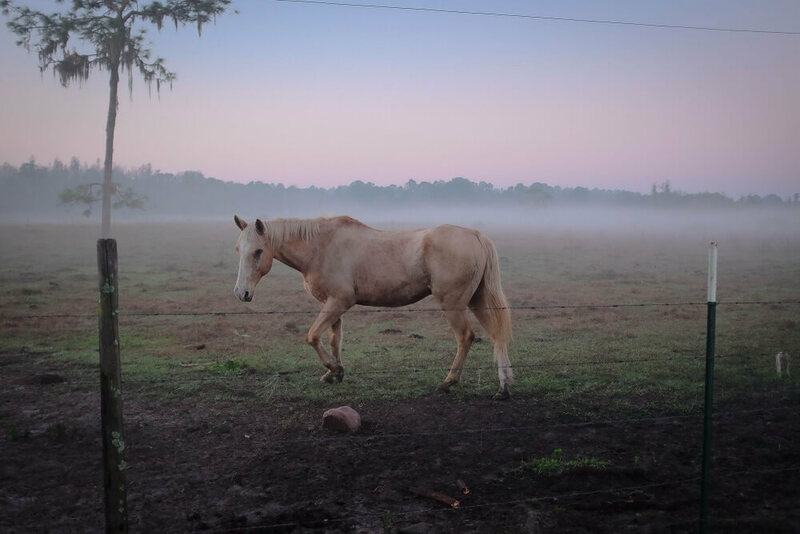 As your horse gets older, like humans, it too may suffer from joint pain. Horse joint supplements along with light exercise, may help relieve some of the stiffness and pain. There are formal studies which confirm that. Having said that, some supplements work better than others. The main reason is the quality and mixture of the ingredients. In addition to that, different horses respond differently to the same doses of the same products. Having considered hundreds of online reviews and my own experience, I have identified the below three horse supplements which would be best for your horse. 2.1 1. Is glucosamine the best joint supplement for horses? 2.2 2. What does chondroitin do? 2.3 3. Are chondroitin and glucosamine combined more effective than either alone? 2.4 4. What is Hyaluronic Acid (HA)? 2.5 5. What do Avocado And Soy Unsaponifiables (ASU) do? 2.6 6. What is the best way to use Methylsulfonylmethane (MSM)? 2.7 7. How does Hydrolyzed Collagen help with joint pain? 2.8 8. What is Cetyl Myristoleate (CMO)? 2.9 9. How much vitamin C does a horse need for joint pain? 2.10 10. Do herbal supplements help with joint pain? 2.11 11. Is it necessary to supplement with Manganese? 2.12 12. How can Zinc and Copper help with equine joint pain? 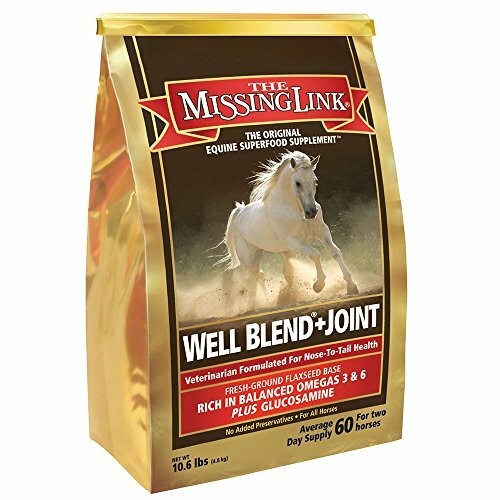 The Missing Link is an original horse supplement that is a blend of glucosamine, which gives your horse an additional support for its joints, and omega fatty acids that help the absorption of vitamins. Often, vital nutrients are missing from grain, feed or hay and the joint health is affected. The Missing Link formula was designed to counter that. It is especially helpful for adult horses. The blend is made of high quality ingredients which have a combination of omega 3, 6 fatty acids, phyto (plant) nutrients, dietary fiber, and antioxidants that occur naturally in whole foods concentrates and whole foods. It closes the nutritional gap: The Missing Link closes the gap in nutrition between commercial food and the food that your horse would have got in nature. Glucosamine: The superfood has a perfect blend of Glucosamine which keeps the joints of your horse flexible and healthy. Stronger hoofs: The nutrients work to ensure that the hoofs of your horse are tough and strong. It lasts long: Since the bag is of 10 pounds, the supplement lasts for around four months for one horse. It is a daily supplement and you can split the daily dose of one third of a cup between its dinner and breakfast so that your horse does not need to consume a big quantity all at once. You need to make sure that you refrigerate it once you open it. The Missing Link has a lot of essential ingredients for your horse. It has Glucosamine which keeps its joints strong, omega fatty acids to help in the absorption of vitamins that are fat soluble which give your horse nutritionally support and improves its intercellular health, increases its energy levels, and boosts its immune system. Faster muscle recovery: The Horse Guard Trifecta Supplement has Organic Selenium and Vitamin E which can speed up the recovery of your horse and improve its resistance to diseases. Strong hooves and shiny coats: The Horse Guard Trifecta Supplement contains Biotin, Zinc and Methionine which give your horse strong hooves and make their hair strong and shiny. Overall health: The supplement has trace minerals and vitamins in a balanced amount so that you can fill any nutritional gaps in your horse’s food. Flexible joints: The Hyaluronic Acid, Glucosamine and MSM in the supplement prevents issues in the joint of your horse. If your horse’s joints are already sore and stiff, it can help heal it. Price: The only slight issue with the Horse Guard Trifecta Supplement is that the price is a bit high as compared to other mixed nutrients but it is worth the money since it gives a perfect balance of nutrients. 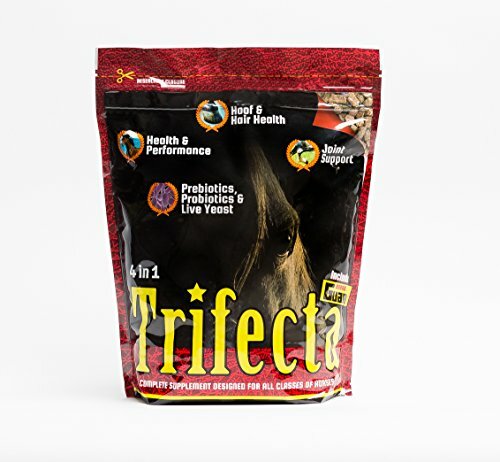 The Horse Guard Trifecta Supplement is an excellent supplement as it covers a lot of areas of nutrition for your horse including joint supplements, fast muscle recovery, brighter coat and stronger hooves and a balanced addition of nutrition for your horse’s health. Cosequin ASU is much better than any normal chondroitin sulfate or glucosamine products that are there on the market. Cosequin ASU has nmx1000 avocado/soybean unsaponifiables (ASU) which is made with fchg49 glucosamine hydrochloride and trh122 chondroitin sulfate with low molecular weight. They also add high quality MSM. The powder is tasty and is very easy to use. Cosequin ASU has the ingredient ASU which when used properly with chondroitin sulfate and glucosamine is the perfect supplement that the joints of your horse needs. Studies show that the combination of chondroitin sulfate and glucosamine with ASU works much better than just glucosamine/chondroitin sulfate. Excellent for joints: The Cosequin ASU has a combination of chondroitin sulfate and glucosamine with ASU which is much better for your horse’s joints as compared to supplements which are ithout ASU. Easy to use: The powder is very palatable so your horse will consume it easily and is easy to administer to your horse too. Powder: The Cosequin ASU comes in powder form rather than pellets and some horses prefer pellets. Size: At 500g, the Cosequin ASU gets over very fast and many reviewers online mention that they didn’t see a huge change in their horse since the powder got over fast. 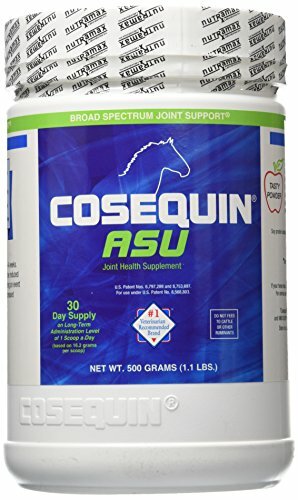 If your horse is suffering from arthritis or joint stiffness, the Cosequin ASU is a good supplement powder to consider. Check though if your horse is comfortable consuming powder rather than pellets before buying. 1. Is glucosamine the best joint supplement for horses? This supplement is an essential building block for connective tissues, such as cartilage. You can purchase it either as glucosamine sulfate or as glucosamine hydrochloride. Both of these are effective. The best products are sourced from shellfish. Doses between 6000 and 10,000 mg a day are recommended to help slow cartilage breakdown, encourage healing and relieve pain. 2. What does chondroitin do? This supplement is essential to strong, healthy connective tissues and cartilage. Doses ranging from 1250 to 5000 mg a day seem to help relieve pain and allow horses suffering from cartilage breakdown to move more easily. 3. Are chondroitin and glucosamine combined more effective than either alone? A combination of these two supplements seems to work best of all. It’s easy to find them already prepackaged in combination, but be careful that any combination you choose has the right dosage of each substance. 4. What is Hyaluronic Acid (HA)? This supplement is actually part of the joint fluid and of cartilage. It’s very effective at controlling swelling, heat and pain. A daily dose of 100 mg can provide quick results. When used in combination with glucosamine/chondroitin, a smaller dose (20 mg daily) can be very effective. 5. What do Avocado And Soy Unsaponifiables (ASU) do? These specially processed plant fats have been shown to be very effective in treating arthritis caused by surgical procedure. They protect against the breakdown of cartilage, but do not seem to relieve pain. Even so, some studies have shown that these fats help inhibit inflammation and improve healing and repair. Results with this supplement are not quick, but a consistent daily dose of 1200 mg can show good effects in the long term. 6. What is the best way to use Methylsulfonylmethane (MSM)? MSM is very effective as an anti-inflammatory when given at doses of at least 20,000 mg daily. Although it is often added to joint supplement combinations, you will rarely find a dosage this high in a combined supplement. For this reason, it’s best to buy MSM as a pure product and observe your horse closely to determine the most effective dose. 7. How does Hydrolyzed Collagen help with joint pain? The protein, collagen, is essential for healthy connective tissues throughout the body. This purified supplement is easily digested and absorbed and contains large amounts of natural glucosamine, chondroitin and HA. The amino acids and proteins that make up collagen help promote healing for problems such as ulcers and wounds. Use for arthritis is a fairly recent development, and high doses (40,000 mg daily) are needed for good results. 8. What is Cetyl Myristoleate (CMO)? This supplement is also known as cetylated fatty acid. A dose of 1400 mg daily used in combination with glucosamine/chondroitin seems to be helpful in protecting cartilage and relieving pain. 9. How much vitamin C does a horse need for joint pain? Just the right amount of C is absolutely necessary for maintaining strong connective tissues and healthy cartilage. It can be hard to determine exactly how much added vitamin C your horse needs, though. Unlike people, horses are able to manufacture vitamin C.
Furthermore, a horse who has ample turnout time may get as much is 2000 mg of vitamin C from fresh grass. Your horse’s total vitamin C intake should not be more than 4000 mg per day. For this reason, supplementing with more than 1000 mg per day is not recommended. 10. Do herbal supplements help with joint pain? Yucca (3000 mg daily) combined with ASU supplements seems to be very effective. Boswellia Extract 500 mg daily can be added to most supplements. 11. Is it necessary to supplement with Manganese? This trace mineral is essential for chondroitin sulfate production and cartilage metabolism. It is not always necessary to supplement with it, though. Horses who get plenty of hay and pasture and a balanced ration of feed are probably getting plenty of manganese. If you do want to supplement with this trace mineral, give no more than 25 mg daily. 12. How can Zinc and Copper help with equine joint pain? Both of these minerals provide support for the body’s antioxidant enzyme systems, and copper is essential for the formation of connective tissue. Copper should be given at a rate of 50 mg daily, and zinc should be given at a rate of 150 mg daily. Similarly to, for example, hoof supplements and senior horse supplements, giving your horse appropriate joint supplements is very essential as your horse gets older. This will help with the stiffness of its joints and help it to live a longer and healthier life. You can go for the Missing Link if you are looking for an overall, excellent joint supplement. There are literally no bad reviews online about this supplement that I could find. You can try the Horse Guard Trifecta Supplement if you want a supplement which gives all round nutritional value along with helping with your horse’s joints and finally, you can use the Nutramax Cosequin ASU if your horse is comfortable consuming powder and may have got arthritis. I would assume that it comes down to how active your horse is right? I mean, these supplements are good for joints and bones and such, but if you are not racing your horse or riding it every day, are they necessary?